Cancer occurs when a cell begins to rapidly divide and a tumor forms. Chemotherapy is the use of drugs to destroy cancer cells. When it comes to chemotherapy, everyone is different. Treatment is tailored to each patient based on what your oncologist feels is the most appropriate for your individual diagnosis. 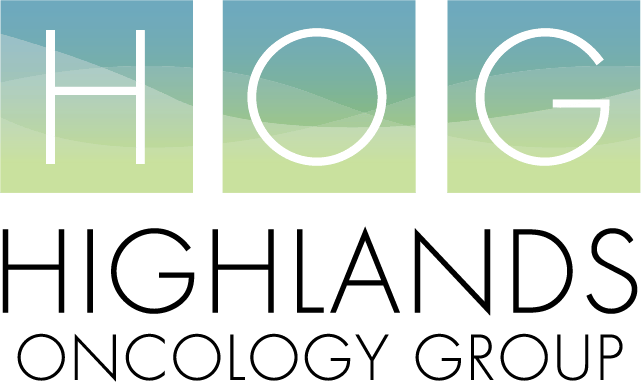 At Highlands Oncology Group, you will attend a new patient class before your chemotherapy treatment begins. During this time, you will have the opportunity to ask our knowledgeable nursing staff any questions you might have. Treatment time and frequency is dependent upon the treatment plan your oncologist has outlined for you. Our infusion suite provides a comfortable environment for you and your caregiver while receiving treatment. During your chemotherapy you are welcome to nap, read a book, or watch TV. We provide snacks and soda for our patients. If you are anxious or feel nauseous during your treatment, let your nurse know. We have ways to help you cope with some of the unpleasant side-effects that could occur. Side-effects vary from patient to patient because no two patients are alike. Some of the more common side-effects that can occur during your treatment are fatigue, nausea, and hair loss. We have several resources to help patients overcome the negative impacts that could arise from their treatment. If you have questions or concerns that occur between treatments, please call us at 479-587-1700.